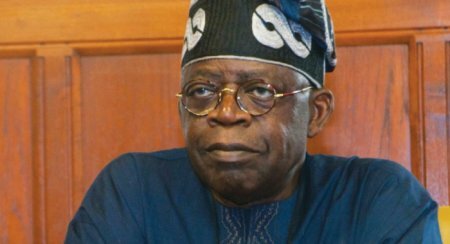 A National Leader of the All Progressives Congress, Asiwaju Bola Ahmed Tinubu, has said only people that are crazy will say he was not with President Muhammadu Buhari last week. In a statement on Monday, Tinubu, a former Governor of Lagos State, said mischief makers were behind the news that he did not visit the President. The statement, signed by his spokesperson, Alhaji Tunde Rahman, said Tinubu was in London with the Interim National Chairman of the APC, Chief Bisi Akande, to visit Buhari. Rahman said they met the President at the Abuja House. The statement reads in full: “The report about the so-called denial of the visit is the handiwork of mischief- makers. “I felt we should not dignify that with a response. “Asiwaju Tinubu and Baba Akande were in London. “The reason they travelled to the United Kingdom was to see President Buhari. “And they visited him last Thursday and held discussions with him at the Abuja House in London. “After the visit, the President, as a mark of respect, saw off his guests to the door. “Pictures were taken during and after the visit and released to the media by The Presidency. “These pictures were international headlines. “How can anybody in his or her right senses be saying there was no such visit?